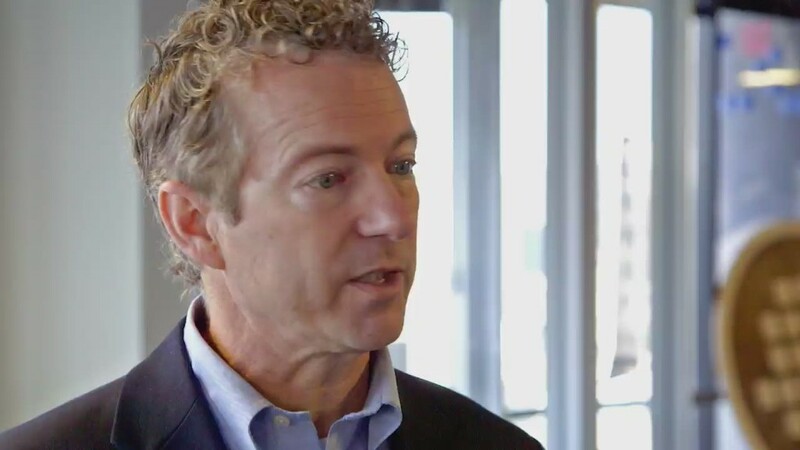 Republican Senator Rand Paul hopes to drill, slash and "simplify" if he becomes president. 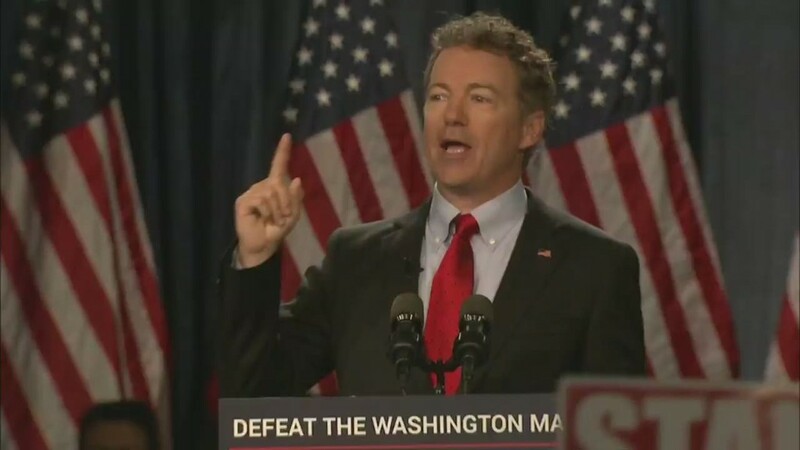 If he reaches the Oval Office, Paul, who announced his presidential candidacy Tuesday, wants to reel in government spending, taxes and regulation. He would like to increase America's energy production and put more oversight on the Federal Reserve. 1. An energy-focused economy: Drill baby drill. Paul wants the U.S. economy to run on American gas, oil and coal. His budget plan -- arguably a presidential manifesto -- calls for more government-owned land to be open for drilling. Perhaps not surprising for a senator from a coal-heavy state, Paul says America should return its focus to coal energy. Paul is a big advocate for the Keystone XL Pipeline, which he says will create jobs and enhance America's energy independence. Paul's energy economy will face major questions during the election. Oil prices have tumbled from $100 a barrel to about $50. There's an oil oversupply in the world, and U.S. energy companies have laid off 30,000 workers this year, according to the Labor Department. It's uncertain how Paul's energy economy would stack up against the industry's tough reality right now. 2. Federal spending slide: Paul wants to eliminate the U.S. departments of education, commerce, housing and energy (that would cut a quarter of the president's cabinet secretaries). He would reduce government payments on food stamps, Medicaid and child nutrition programs too. Paul argues that many welfare programs waste money. 3. Audit the Fed (and more? ): One of Paul's big campaign promises is to audit the Federal Reserve ... even though it's already audited twice. Paul is the author of an "Audit the Fed" bill that would allow a Congressional oversight office to go a step further than just looking at the numbers and actually comment on the Fed's monetary policy decisions. Many at the Fed, and even some of Paul's Republican peers, say the bill is an attempt to influence the Fed's policy, especially on interest rates. Fed Chair Yellen staunchly opposes Paul's bill and says she's prepared to fight it. America's central bank wants to remain independent of politics as much as possible. But Paul is not backing down. He is even raising money off his Fed attacks. He raised $88,000 in grassroots donations for his "Stand with Rand Audit the Fed Money Bomb" campaign in February (though he hoped to get $150,000). Paul actually grew up in an anti-Fed household: his father, former Congressman Ron Paul, published a book entitled "End the Fed" in 2009. Republican presidential hopeful Ted Cruz is also in favor of auditing the Fed. 4. Bye-bye (many) taxes: Flat tax is the buzz word of the 2016 race so far. Like many GOP presidential candidates before him (including Ted Cruz and Rick Perry, Herman Cain and Newt Gingrich in the last election cycle), Paul wants to enact a flat tax if elected president. He also plans to cut taxes on stock profits, corporations and estates. Paul opines that a low-tax economy will give Americans more spending power, boosting economic activity. The United States has had two flat-tax laws passed -- in the 19th century. One was later ruled unconstitutional and the government never enforced the other. Paul points out that America's tax code is too complicated today and needs to be simpler, but the idea of a flat tax is often criticized for being unfair to lower income households who pay little to no federal income taxes now. So far, Paul and Cruz -- the only two to announce their presidential bids -- appear to agree on a lot when it comes to economic policy.